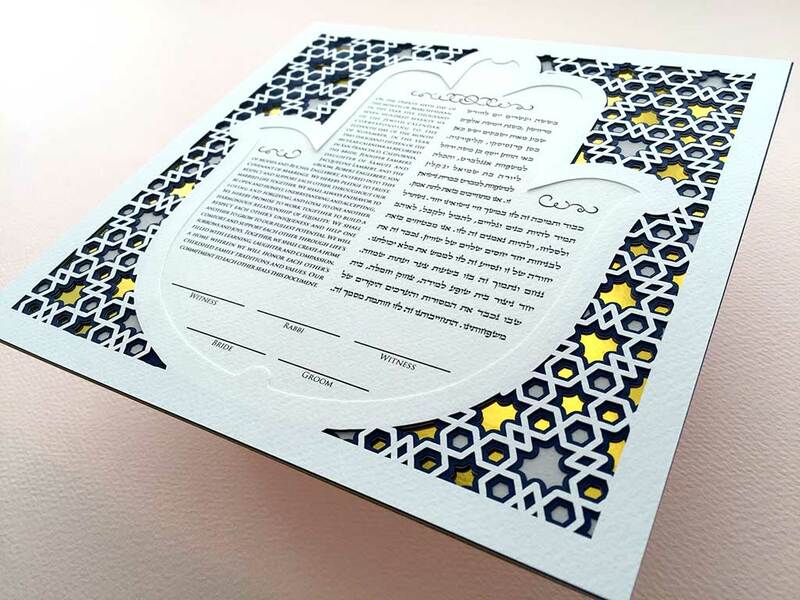 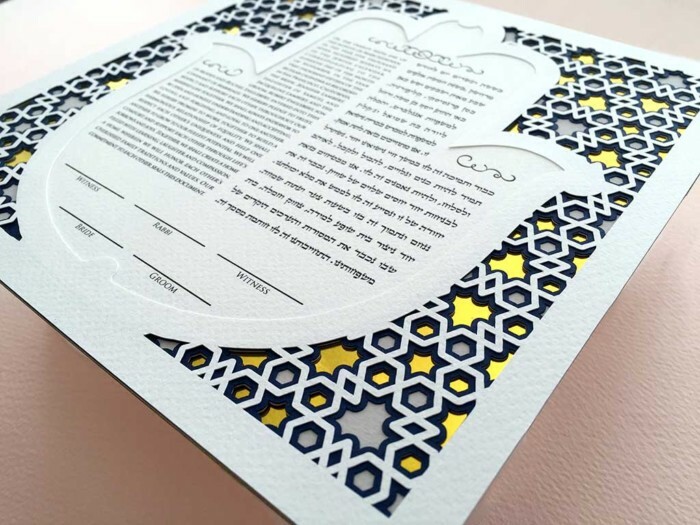 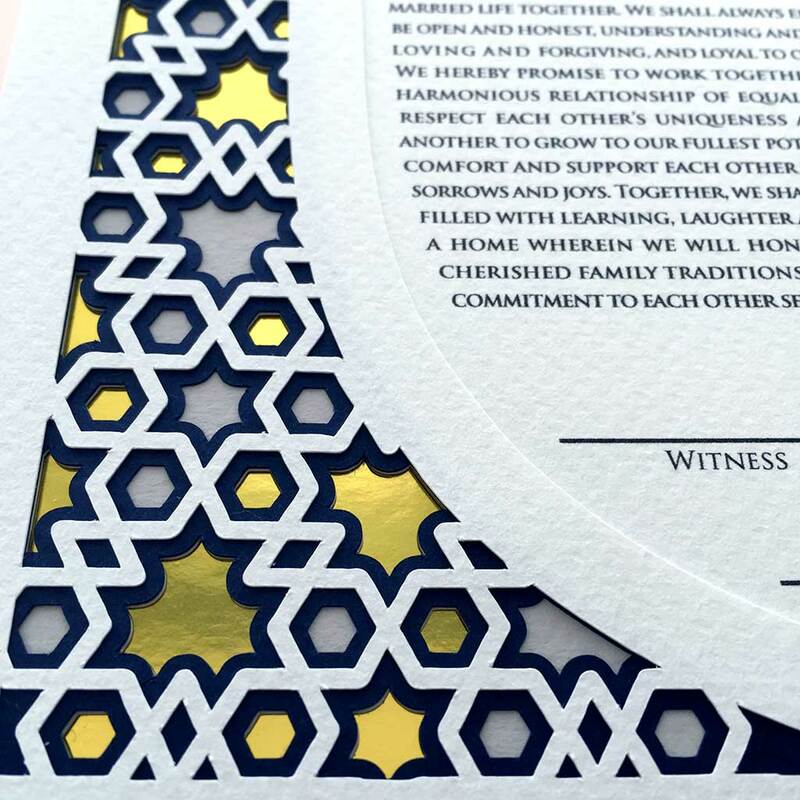 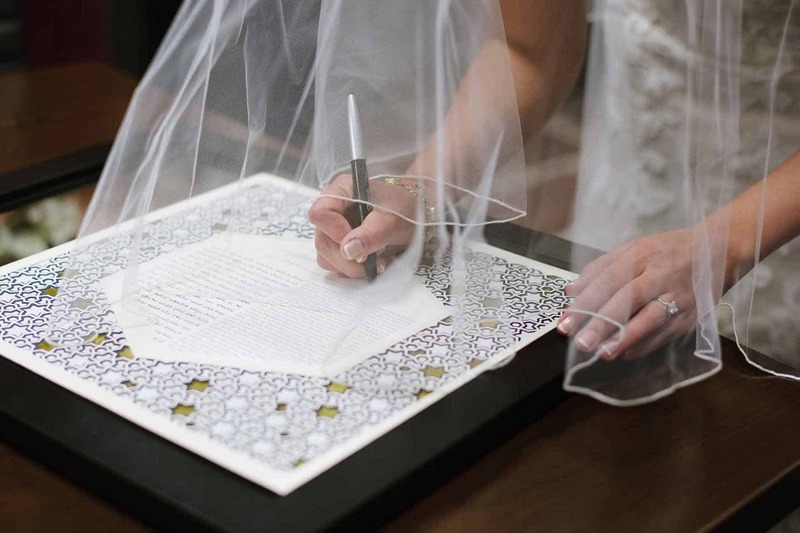 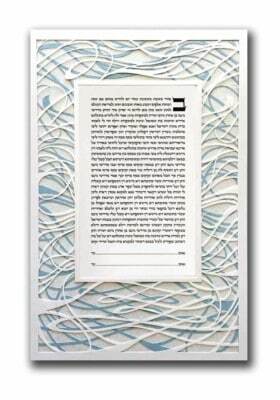 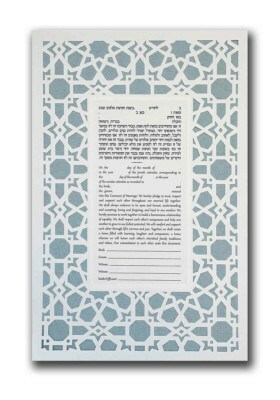 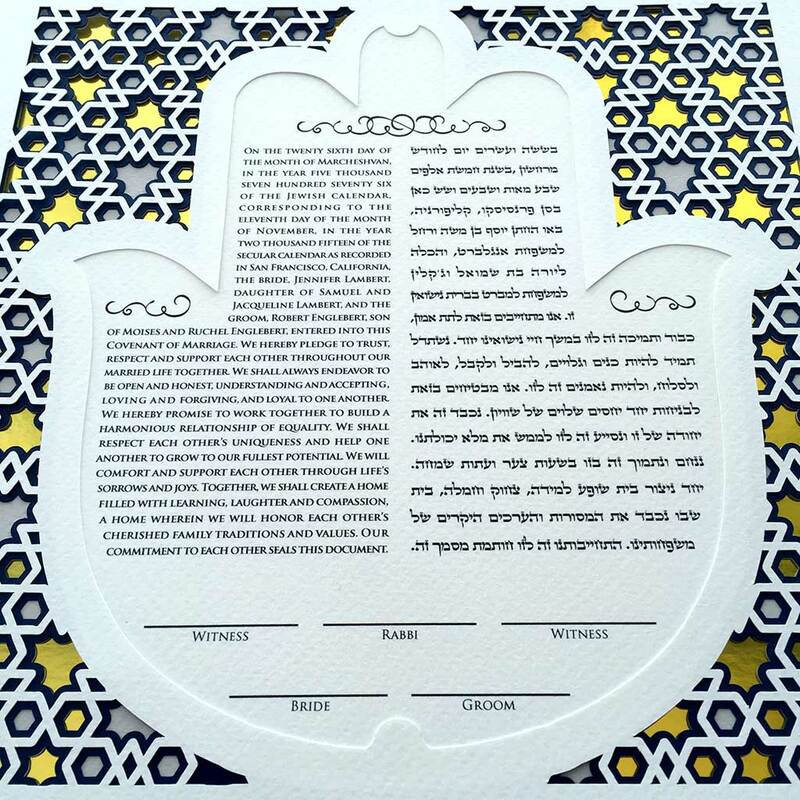 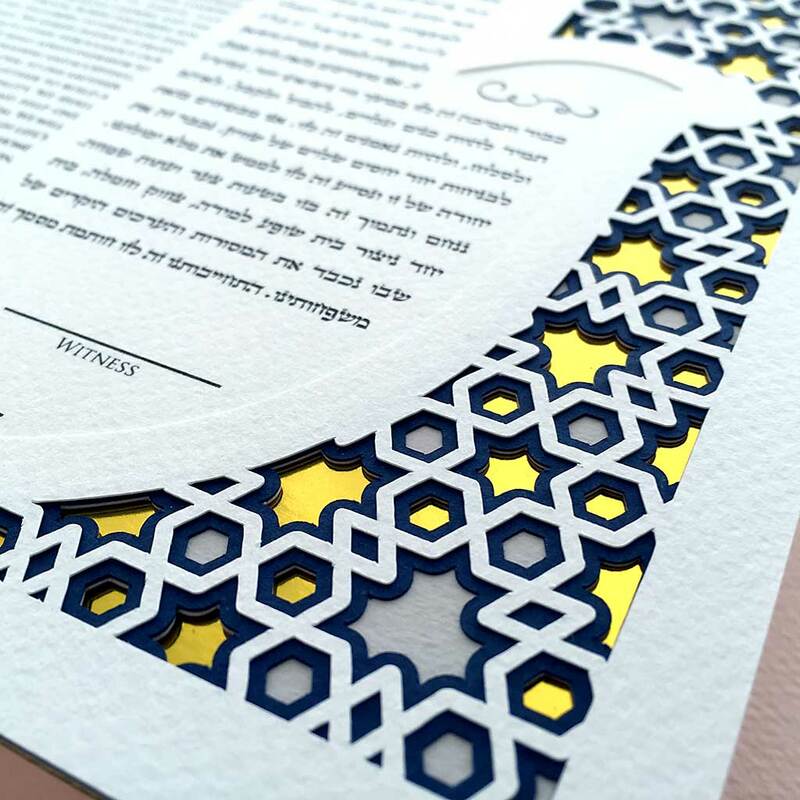 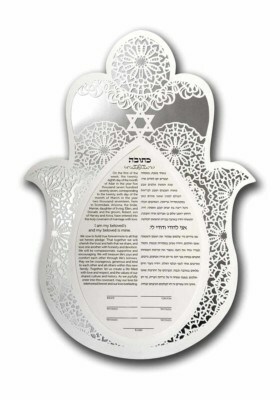 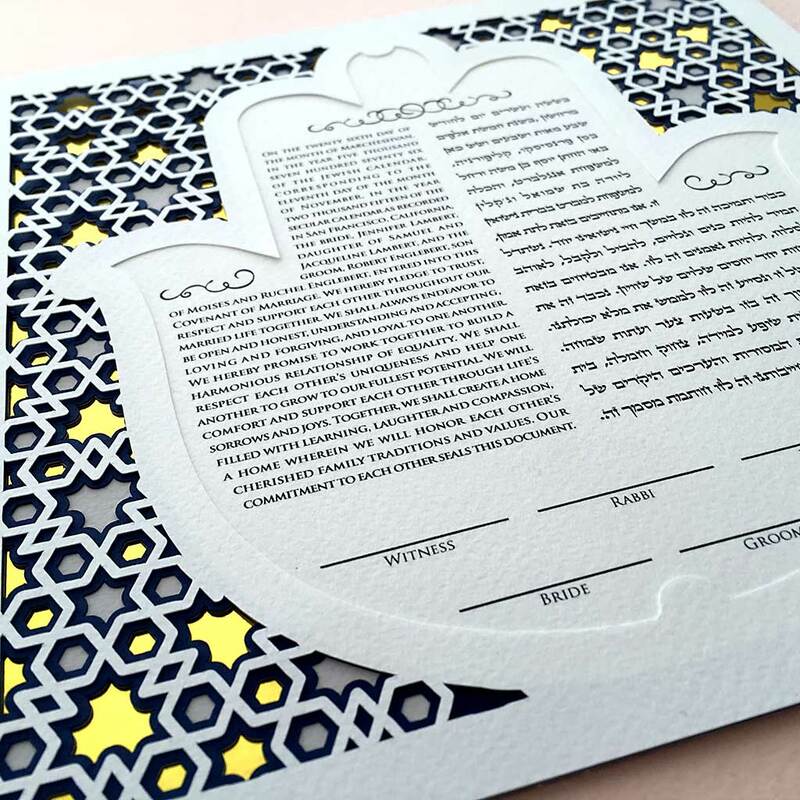 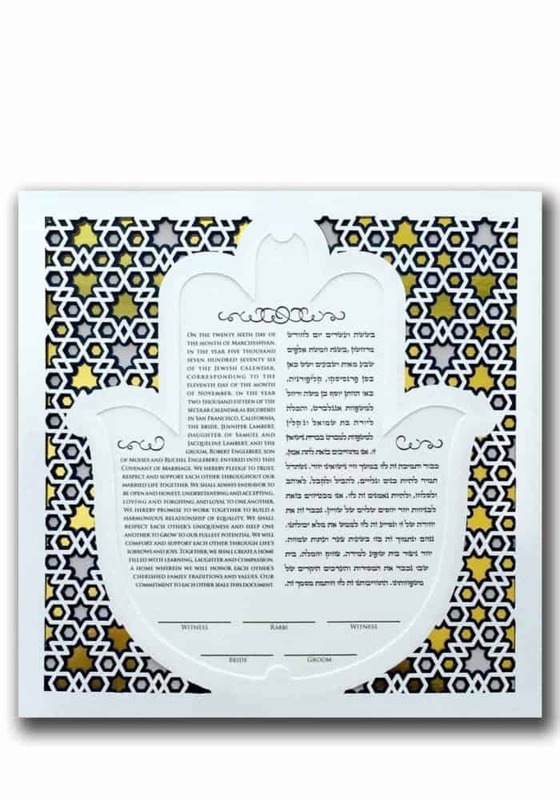 This ketubah papercut exemplifies the motifs of the Middle Eastern Jewish communities. Exotic, abstract, and richly layered, this design is deeply imbued with ancient tradition. 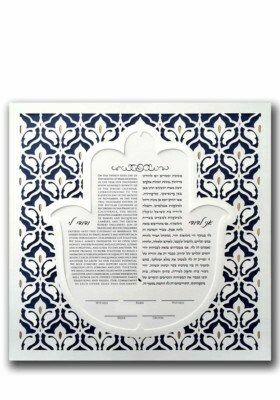 The text is presented inside of a Hamsa, making this ketubah unique in its presetation.